Paytm continues to add features to its app that go beyond its core payments play. Paytm’s app will now automatically filter users’ SMSes as help prevent spam, the company has said in a blogpost. 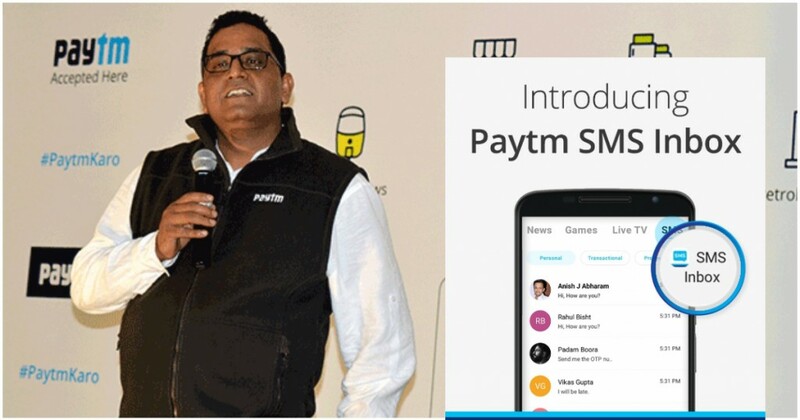 “We are excited to announce the launch of our Spam-proof ‘SMS Inbox’ as a part of our widely popular Paytm Inbox,” Paytm said. “The Spam-proof SMS Inbox uses proprietary Machine Learning algorithms to classify SMS into Personal, Transactional & Promotional categories, offering a clutter-free experience. This SMS categorisation is done locally on your device by the Paytm app after you give an explicit consent to avail this service,” it adds. Paytm seems to be re-imagining SMSes somewhat like email, with threads and labels. “Once activated, the app will inform you about the various classifications of the SMS categories and their utility value. You can also choose to delete one or several threads, re-classify SMS and mark SMS as read/unread. The Machine Learning engine remembers your inputs and updates itself accordingly to customize its detection patterns and enhance user experience, ” Paytm says. At first glance, it would appear that adding an SMS filter wouldn’t be in the normal scheme of things for a payments company, but Paytm’s been rapidly adding capabilities to its app that it hopes will make it indispensable for its users. The SMS filter seems to be along the same lines — all of Paytm’s 200 million plus users use SMS, and if they switch over to Paytm’s spam filters and classification schemes to handle their SMS messages, it’ll make it much harder for competitors to get users to switch over from Paytm to their apps. Should Paytm’s spam filters and classifications work well, it could create a moat for Paytm which other payments app will find hard to breach — with users’ SMSs on Paytm’s own Inbox, it’s much less likely that they’ll delete the app, and switch to other apps for their payments. And it’s not only SMSes that Paytm’s been looking to provide on its app to keep users hooked. Paytm’s inbox now also has live TV, letting users stream everything from news from Republic TV and Times Now, and a host of regional entertainment channels. It also has aggregation of news articles from sources like Hindustan Times and Indian Express. Paytm’s Inbox also has a variety of games, some of which provide cash prizes which directly reach users’ wallets. And though it hasn’t quite taken off, Paytm’s app also has chat, through which users can chat with their contacts who also have Paytm. Though Paytm’s competitors haven’t quite realized it yet, this might just be the way to help payments apps stand apart from the competition. India’s top payments apps today offer similar experiences, similar acceptance rates and even similar cashbacks — PhonePe, Google Pay and Amazon Pay all pretty much indistinguishable from each other at the moment. The key to winning the segment, thus, could rest of adding other services around the core payments experience. And with its SMS filter, Paytm seems to have taken another significant step in that direction.